Founder and Managing Director of Spot On. Expertise are in ICT system design and actionable research working collaboratively with multiple national and international partners applying the academic and industrial experience in being a valued entrepreneur recognizing new developments in technology and anticipating trends. Currently residing in Kunming, China. View the complete profile. Binu works manages Spot On's accounts on a part-time basis. Her responsibilities involve maintaining the books, consolidating the end of year accounts, to support the required audits, and she files the annual income taxes. Currently the works as a Senior Accounts Officer with more than three years experience; specially, in IT related business accounting. Binu graduated with a degree in Physical Science at University of Kelaniya (2013). Thereafter, she has completed the Sri Lankan Charted Accounting in Business - Level II examination involving relevant certificate course in Information Technology applications that are related to Business, Finance and Reporting; at The Institute of Charted Accountants of Sri Lanka (2014). Binu is an animal lover and enjoys travelling with her husband to explore various exotic places. View the complete profile. He is an analyst programmer and systems administrator working as a consultant for Spot-On. His software development with expertise are in Java Enterprise architecture programming. Tharaka was contracted as a research assistant and analyst programmer. During this period, he made several contributions to the Sahana Free and Open Software, then tested it in the field with Community Emergency Response Team members, in Sri Lanka. The project integrated voice-enabled technologies to interlink last-mile communities with the incident management center using the Freedom Fone Interactive Voice Response System. He is involved in mission critical information management systems research and development; especially applying Artificial Intelligence for decision support. He graduated with a BscIT in Information Technology from University of Moratuwa, Sri Lanka. View the complete profile. He is a National Coordinator & Operation Manager serving at the Sarvodaya Community Disaster Management Center (SCDMC), Sri Lanka (2006 to present). Mr.Silva worked as a coordinator in a voice-enabled emergency data exchange project for Sarvodaya. Also he has a good technical sound in community based disaster management (CBRM) in village level implementation, trainings, and research. View the complete profile. 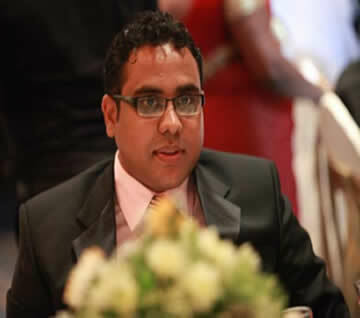 Sumudu is a Management Information Systems graduate from the National Institute of Business Management, Sri Lanka. She contributed to the design and development of the Spot On website. Now she is working as the director of Mobisec (Pvt) Ltd, a mobile software development and IT services company. Additionally serves as the director of MassCoco Lanka (Pvt) Ltd, which is an exporter of coconut coir and coco peat based products for use in horticulture. Other services include working with the Dialog Ideamart platform, a local mobile application store. Sumudu loves to travel and explore new places in her free time. View the complete profile. He is a Software Engineer with keen interest in new web technologies (HTML5), RESTful web services and mobile application development. During his academic carrier, he worked on several interesting projects, including a GPS/GSM based bus tracking system, contact sharing system and quantum computing. His final year project was an Offline Web Based Mail system that was selected as the winner under the category Software for IT at the National IT exhibition. Madhuka was the Microsoft Student Ambassador for the Faculty of Information Technology, University of Moratuwa (2010-2011) and was also a member of InnoWorks, second runners-up at Imagine Cup 2009 and finalist at Imagine Cup 2010. Madhuka holds Sun certifications in Java programming (SCJP) and Java mobile application development (SCMAD). 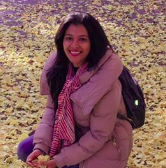 Madhuka has, more than two years of experience in Open Source developments. Madhuka has several publications in relation to HTML5 offline features. Database based and RESTful system with offline web based clients. He holds a B.Sc (Hons) degree in Information Technology (1st Class) from the Faculty of Information Technology, University of Moratuwa, Sri Lanka. View the complete profile. 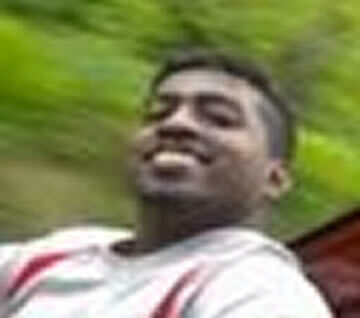 Tharindu is a software engineer with a special and interest and skills in developing J2EE (Java) applications. He was instrumental to developing the STRIX satellite content distribution back-end. The solution integrates with the Yazmi Tellecast satellite data receiving devices to buffer and stream the text, audio, and video streams through UDP sockets and offering the data through web sockets for front-end applications to render and make use of. He currently develops world class Retail and Food and Beverage Point of Sales applications. Managing the Android, IOS and Web Teams. Doing Android and JEE Server side developments. View the complete profile. 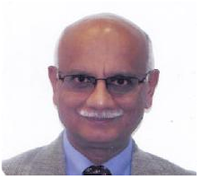 He is a Medical Doctor with an extensive background in Bioinformatics. After graduating from the Faculty of Medicine, University of Colombo Sri Lanka, Chamindu continued his education in eHealth graduating with a MSc in Bioinformatics from the Post Graduate Institute of Medicine, Sri Lanka. Roshan serves on several eHealth technical committees and is a Senior Lecturer at the Post Graduate Institue of Medicine (Sri Lanka). Currently he is reading for a PhD in Bioinformatics at Stockholm University in Norweigh. View the complete profile. Kasun worked as a research assistant and analyst programmer in a voice-enabled emergency data exchange project. The project investigated the use of techniques for interlinking voice and text software system for Sri Lanka. 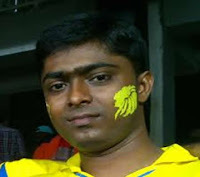 He currently works as a software engineer for Lanka Software Foundation developing web semantic software systems. His research interests include emergency management information systems, social media analysis, and financial ontology modeling. He graduated in 2011 with a BscEng in Computer Science and Engineering from University of Moratuwa. He is also a member of Institute of Engineers Sri Lanka (IESL). View the complete profile. He is the founding Chair of LIRNEasia, an ICT policy and regulation think tank active across 12 emerging Asian economies. Samarajiva was Team Leader at the Sri Lanka Ministry for Economic Reform, Science and Technology (2002-04) responsible for infrastructure reforms, including participation in the design of the e-Sri Lanka Initiative. He was Director General of Telecommunications in Sri Lanka (1998-99), a founder director of the ICT Agency of Sri Lanka (2003-05), Honorary Professor at the University of Moratuwa in Sri Lanka (2003-04), Visiting Professor of Economics of Infrastructures at the Delft University of Technology in the Netherlands (2000-03) and Associate Professor of Communication and Public Policy at the Ohio State University in the US (1987-2000). Samarajiva was Policy Advisor to the Ministry of Post and Telecom in Bangladesh (2007-09). He serves as Senior Advisor to Sarvodaya (Sri Lanka’s largest community based organization) on ICT matters. Samarajiva is a Board Member of Communication Policy Research south, an initiative to identify and foster policy intellectuals in emerging Asia. He is a member of the Board and former Chair of the Lanka Software Foundation and Board Member of the International Communication Association. He serves on the editorial boards of seven academic journals. View the complete profile. Dr. S. Rangarajan is a satellite industry veteran with 30+ years of experience in successive leadership roles in the public and private sectors. He has successfully adapted the satellite radio infrastructure to design diverse solutions for data multicasting, distance education and early warning delivery in the developing world. In particular, he has an abiding interest in the development of innovations that seek to provide better quality and affordable solutions for rural and remote regions.Dr. Rangarajan is a Senior Vice President at Yazmi USA. He was earlier the Program Director of INSAT at the Indian Space Research Organization (ISRO), and pioneered various satellite-based applications, including the first satellite-based telemedicine project in India. He was a member of the team that formulated the National Telecom Policy (NTP) in 1998. He has a PhD in Physics from Tata Institute of Fundamental Research, Mumbai, India. View the complete profile. The founder of “Mars Data Systems“ has over 20 years of combined experience in Acquiring and Issuing Bank Debit and Credit card industry. Very vast experience in various EFT-POS solutions like Bank card processing, Fleet Petroleum Automations, Loyalty, ePurse, Mobile Topup and Retail automations in the entire Middle East and other part of the world. View the complete profile.